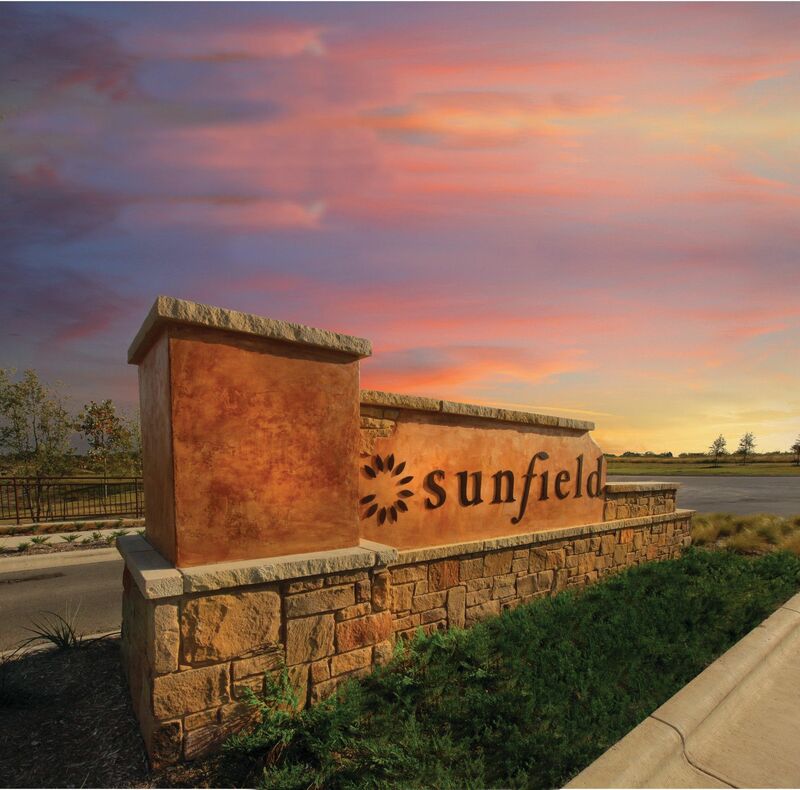 Conveniently located just off of IH-35 in Buda, Sunfield offers a master plan community rich in nature and resort-style amenities, with close proximity to Austin. Work in bustling Austin, live in the serenity of Sunfield. Sunfield community amenities include a splash pool, junior Olympic lap pool and pavilion, frisbee golf, dog park, fishing ponds, lake, parks, and miles of hike and mountain bike trails. Home buyers may choose from seven distinctive floor plans featuring single-level and two-story new home designs with 1,328 to 2,165 square feet, 3 to 4 bedrooms, 2 to 2.5 baths and 2-car garages.